Stopped for a snack and to enjoy the view just east of Nordegg, Alberta. Part of our plans for our 6 weeks in Western Canada is for a 2 week road trip through Central Alberta and British Columbia visiting friends. I had decided that even though I grew up in this area I was going to treat this trip like I was a tourist and soak in every area. It was worth the change in view point. 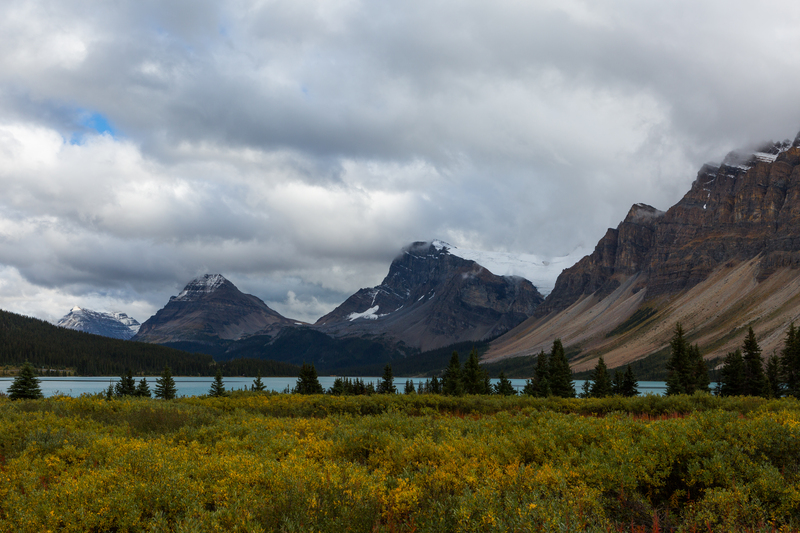 I would have to say the most spectacular portion of the trip so far has been the drive west on Highway 11 to the Icefield Parkway (Hwy 93) and down through Banff National Park. The majesty of the Rocky Mountains is hard to put into words. Suffice to say, breathtaking. Karen enjoying the view by our ride. (Thanks Richard and Angela). The heavy clouds threatened rain all day but it held off and instead provided some great background for the beautiful mountains. 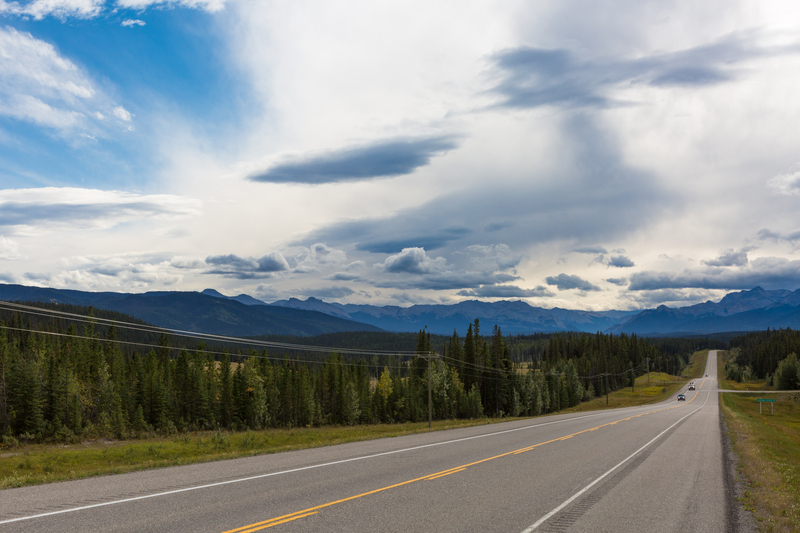 Enjoyed fantastic clouds as we drove west of Nordegg. 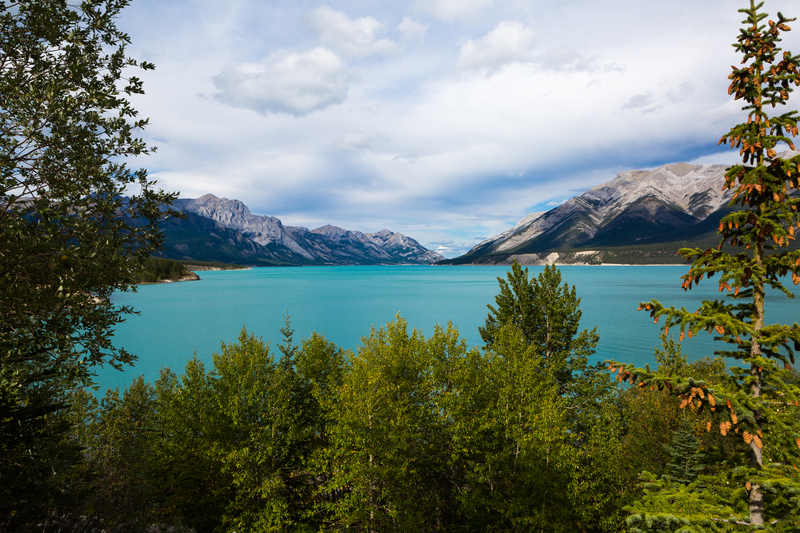 A friend had recommended that we keep an eye out for Abraham Lake as it was very impressive. That turned out to be an understatement. As we drove alongside this lake the incredible turquoise water and rich green forest were awe inspiring. Looking north across Abraham Lake near Cline River. You could see where the area was recovering from a massive forest fire. 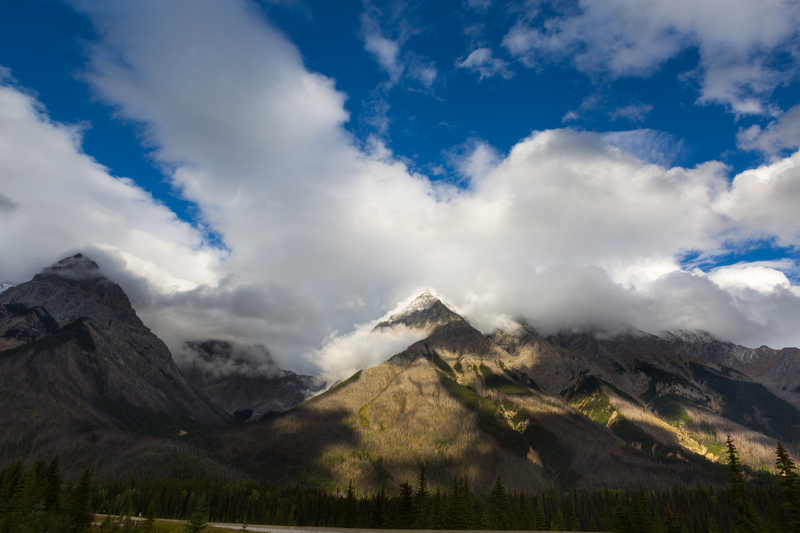 As we arrived at the gates for Banff National Park we were informed by a very cheerful young lady that it would cost us $19.60CDN to travel the 75km (46 miles) from Saskatchewan River Crossing to Lake Louise on the Icefields Parkway (Hwy 93). In hindsight it is a small price to pay and it had just been paved this last summer so the ride was incredibly smooth. It would be perfect for cycling. Looking west across Waterfowl Lakes. 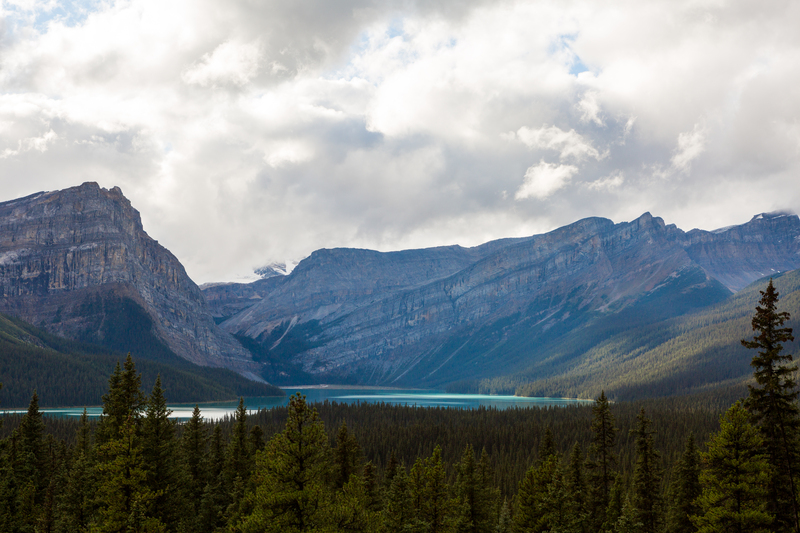 The drive along the Icefields Parkway has been described as one of the most beautiful in the world. It is true. You almost become numbed by the endless vistas of towering mountains, beautiful forest and vibrant lakes. 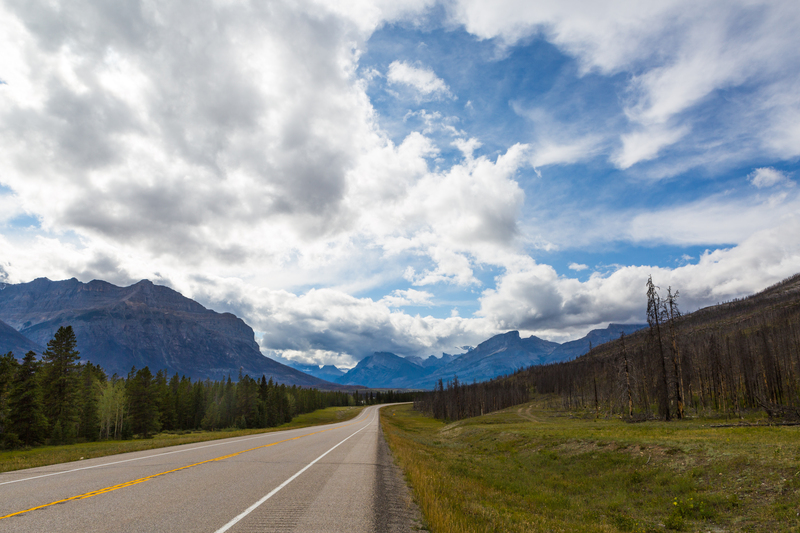 Certainly a drive anyone visiting Western Canada should make every effort to take in. Looking north from Bow Lake toward Marmot Mountain. 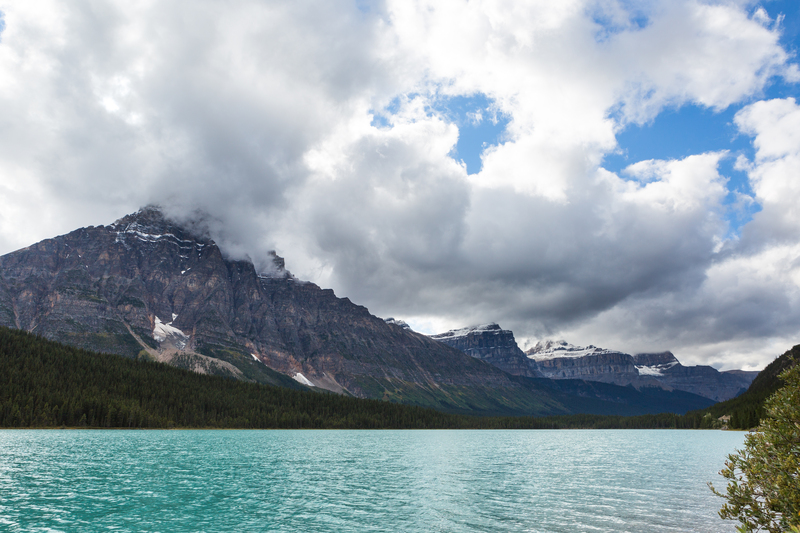 Storm clouds were gathering over Bow Lake. Looking west across Hector Lake toward the Alberta/BC border. 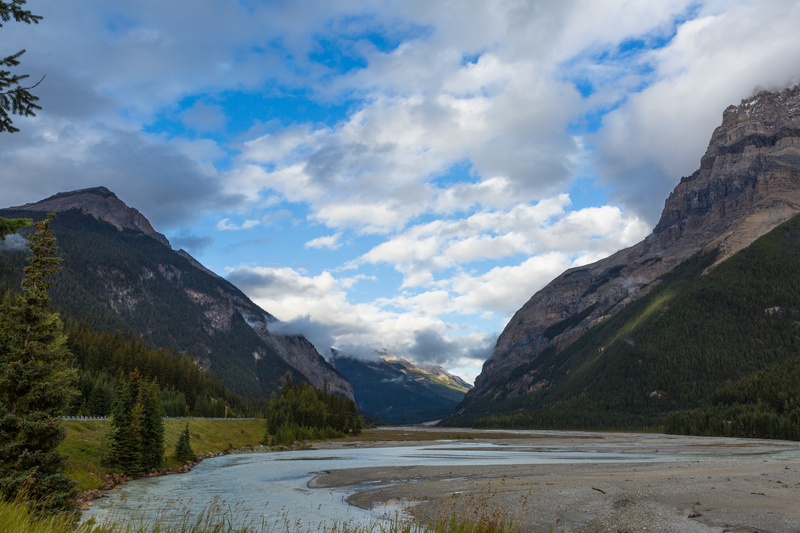 As we exit Alberta and Banff National Park the beauty continued into British Columbia and Yoho National Park. If you are a train fan this stretch along the TransCanada Highway is a must do. From the Spiral Tunnels to the staging area at Field, BC. 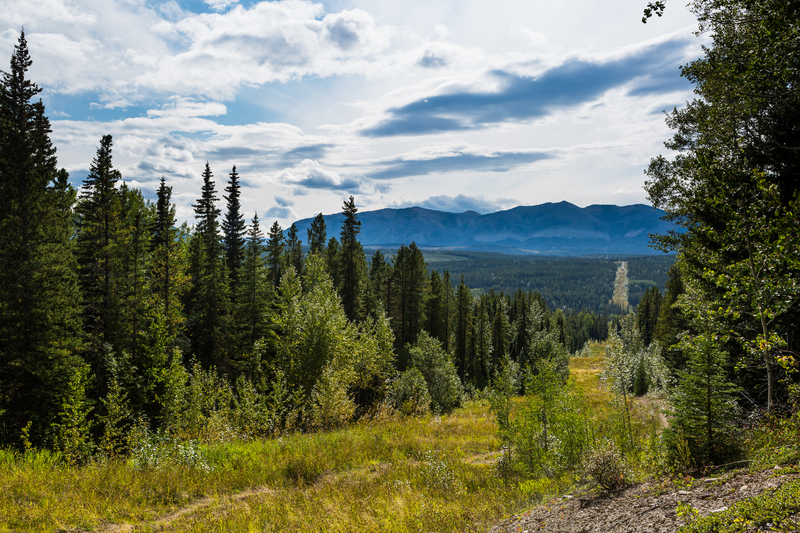 Looking east from Field, British Columbia. As we approached the end of our day just east of Golden, BC the sun made one last brief appearance. It was the perfect ending to our passage through the Rockies. 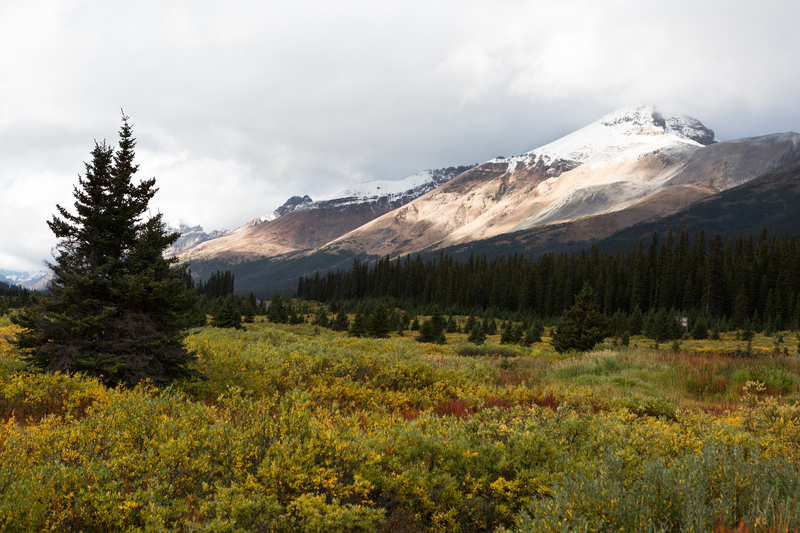 The sun poked through the clouds after we got onto Hwy 1 in Yoho National Park. Chancellor Peak appeared to be glowing. It was the last glimpse of sunshine for a couple of days. I’m glad you enjoyed it. Thanks for checking it out.